Ever had one of those days when nothing can go right? It’s not even lunchtime and my day has been inundated with all kinds of crisis situations, nerve-grating encounters and frazzled moments. It’s days like these when I crave a quick-fix mood booster – like the new Fruitz watches launched by launched by Philip Stein, a company that specialises in proprietary natural frequency technology. 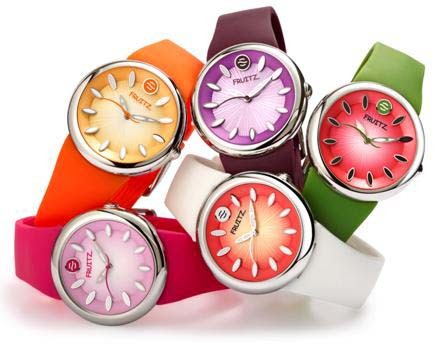 These ultra-cute timepieces not only look cheery, but also emit soothing energy frequencies through your wrist, helping you get into a happier frame of mind, improve focus and relieve anxiety. Wearers attest to having reduced stress, less headaches and clinical studies show that the natural frequency technology in the watches improves sleep.